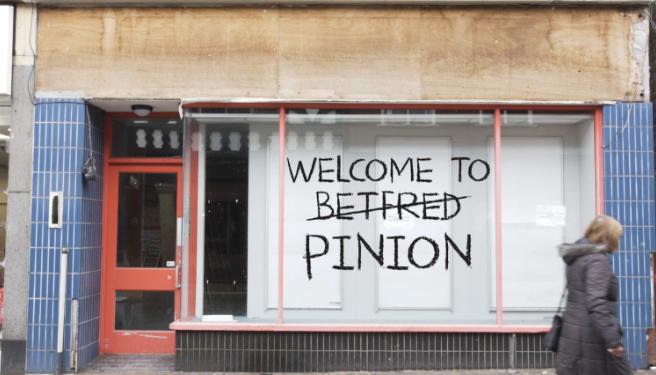 Gary Usher launched his new crowdfunding appeal to raise £50,000 in 24 hours, his most ambitious campaign yet, for Pinion, in Prescot, Merseyside, and hit his target in less than one hour. The appeal raised more than £86,000 in its total time, meaning the 55-cover bistro will open this summer, following on from the other Elite Bistros sites Sticky Walnut in Chester, Burnt Truffle in Heswall on the Wirral, Hispi in Manchester, and Wreckfish in Liverpool. The site, an old Betfred bookies, needs about £125,000 in total, but is well on its way following the huge boost from customers. Gary’s Kickstarter campaign for Burnt Truffle raised more than £100,000 and Hispi receiving nearly £60,000 in pledges. Rewards for pledges include a name on the founders’ wall (£10), meal vouchers to the value of the pledge (£25-£100), two opening night party invitations (£100), masterclasses and lunches at his other sites (£200) and a private home-cooked dinner (£2,000).